Recently I found myself with some leftover squash that had been tossed in garam marsala and roasted. Like any sandwich enthusiast, my thoughts immediately turned to how I might incorporate those leftovers into a sandwich. Rather than the standard route of piling it between bread, though, I thought I might try something a bit different and incorporate it into the bread. 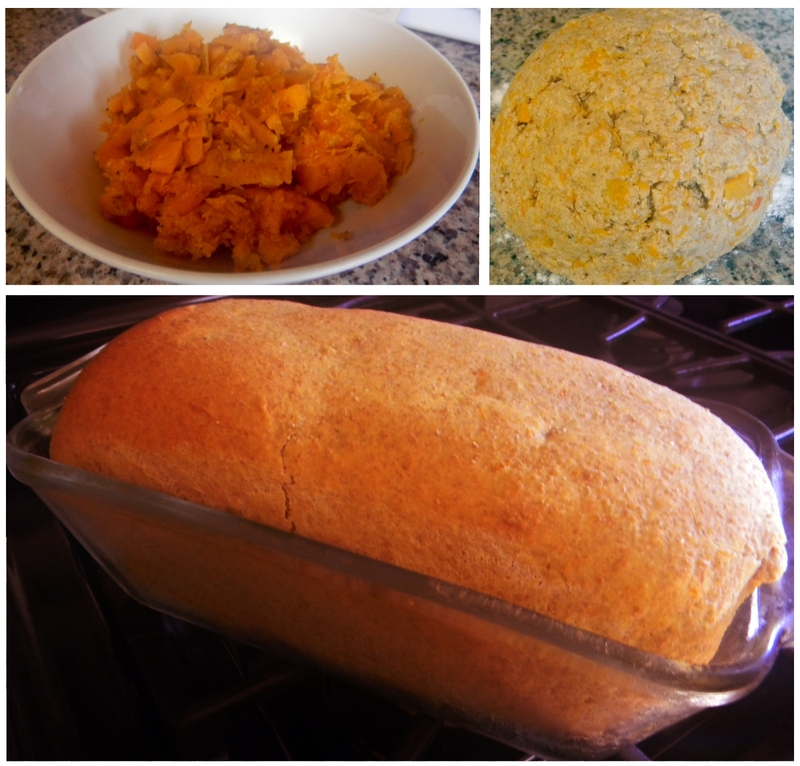 So I did just that, combining a cup of diced/shredded roast squash into a whole wheat dough, kneading it smooth and baking it up. With the bread baked, I turned to the rest of the sandwich. Thinking back to the stellar number I had at Sun de Vich, my first thought was a spread of Greek yogurt, mint, and finely diced red onion. A chicken breast got a healthy coating of salt and pepper, cayenne, chili powder, and garam masala before going down in the skillet, and a few poblano peppers got flattened out and stuck under the broiler. Bringing everything together, it looked like I had a somewhat sparse but perfectly serviceable sandwich. Alas, looks can be deceiving. I wouldn’t call this sandwich an out-and-out failure, but it’s not exactly a success. It’s successful if considered an experiment, but as a finished sandwich it came up terribly short. Firstly, the spice on the chicken proved to be a bit overwhelming. While piling on more yogurt helped that, at that point you end up with flavors fighting each other rather than working together. Secondly, the taste of the squash was completely lost. It was present when the bread was tasted on its own, but by the time the sandwich came together it was long gone. I hadn’t expected a really bold squash flavor (if I’d wanted that I could have just included the squash on standard bread) but there was really no squash flavor of which to speak. So the very thing I’d set out to feature disappeared. I think that there are some strong ideas here, and in the future they’ll work out to a better sandwich, but here and now all I had was a too-spicy sandwich and a missing squash. 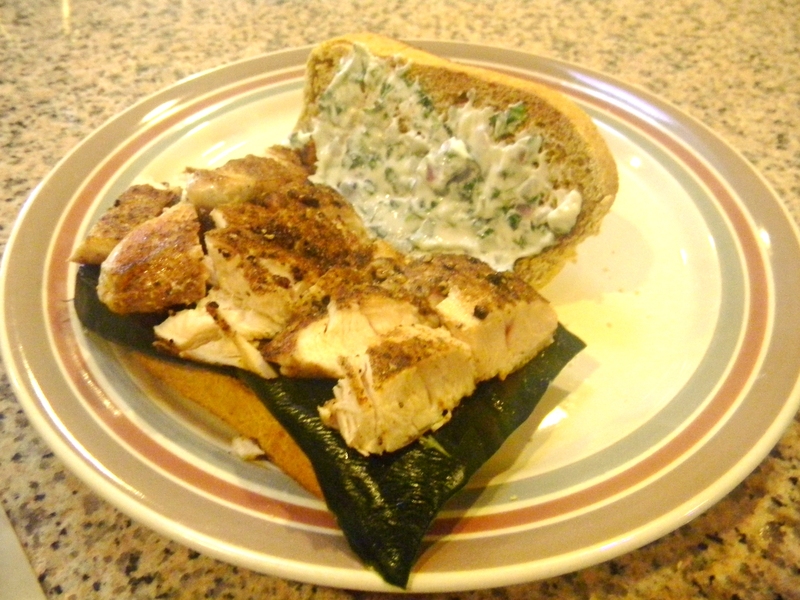 This entry was posted in Sandwich Reviews and tagged Chicken, Homemade Bread, Reviews by Pete, Sandwiches I Have Eaten, Sandwiches I Have Made by Pete. Bookmark the permalink.